I keep going back and looking at that Euroedge. I have bought so many knives lately and I know I shouldn't buy another now but it just keep calling to me. I hope they sell out before I fold. I also liked the look of this model but wished it truly was a dagger with two edges. I suppose this would mean it would have to of been designed where the blade was completely nested in the handle. Also I suppose it would be kinda murky with carry laws. Euroedge is the epitome of Taichung craftsmanship, IMO. Cool design, expertly made. I don't carry mine but I enjoying having one. Yeah, I just got an email from KnifeCenter that they canceled my Sprig order because “it was not allocated as expected.” Frustrating! Thanks for the heads up! I’ve never purchased from them before. Have you had good experiences? I’m in scramble mode now, but want to get as close to that KnifeCenter price as I can. I ordered up a Sage 2 and Ti Chapparal, and thankfully received shipping notices today. But it sure seems like most of the models folks are excited for snagging on discount are more exotic than my choices. Both are fine choices in my book. Nice! I have big hands and hope the Junction will work for me too. Do you have some calipers handy? I'd love to know how they compare at the spine and behind the edge. I read that on Bladeops and wondered if the listed spec was correct. The Junction should be thinner behind the edge then with such a broad FFG. Sounds slicey! Good thing it's your rule. So I can know for context, is this a one and only time allowed MSRP price drop? Or will dealers still continue to drop price to get rid of stock? I'm contemplating on making a Paul Alexander collection!!! Maybe Ebay coupons will save the day in the future, until then... we have the Native 5 Salt to keep us on edge. They can adjust price but I wouldn't expect a dealer to drop the price more than once. If there's adequate stock, you'll see more dealers selling at a discount on eBay, etc. If you wait you might find a better deal or if inventory depletes, the price can move back up. Agreed. Unless it really didn’t sell well, this is as low as they will go and likely the lest few will sell at a higher price. I was never much of a Stretch fan but now that I look it over I prefer the blade shape to my older CF ZDP Stretch that I sold long ago. I might have to pick up the brown g-10 ZDP version. KnivesPlus has the lowest price on it right now. Location: In a dimension as vast as space and as timeless as infinity. I feel that if any of you do not buy a Manix 2 Back Lock you will regret it for years to come. Just sayin'. "Until we meet again, may the good Lord take a liking to you." I wonder if the G10 D'Allara 3 will be replaced with the FRN contoured version. It will not. 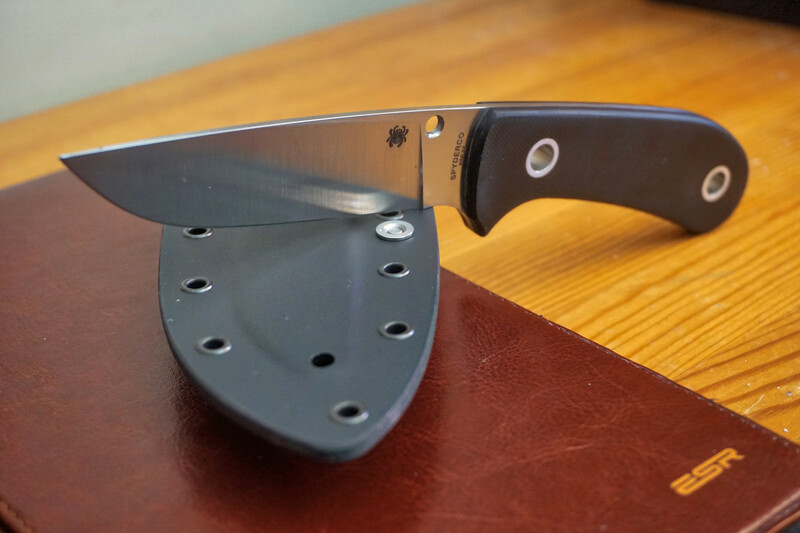 This g10 version was a feeler for the FRN, and it didn’t do well. It’s not lost on me that offering something with no contouring isn’t a great way to determine if people want something with contouring or textures (“easier” to do in FRN in numbers). 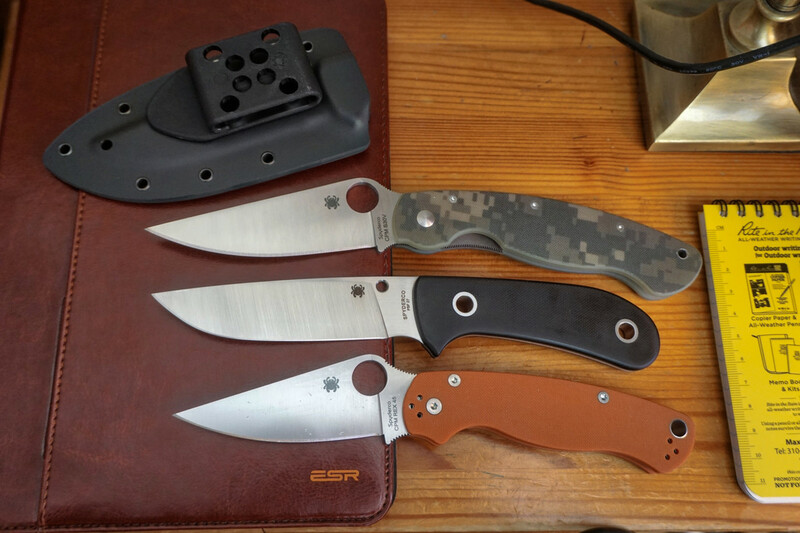 But, Spyderco has their methods, and this was the unfortunate outcome this time.